What happens in HSP and PLS? HSP and PLS are caused by degeneration of the upper motor neurons. “Upper motor neurons” are the nerve cells that control voluntary movement. 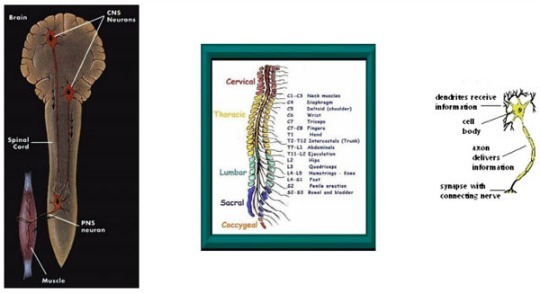 They are located in the motor cortex of the brain and carry messages from the brain to the brain stem and spinal cord. They connect to (synapse with) other nerves called “lower motor neurons”, which carry the messages out to the muscles to tell them to move. When there is degeneration in the upper motor neurons, messages (impulses) cannot adequately reach the lower motor neurons and their messages to the corresponding muscles are impaired. This causes the muscles to be weak and muscle tone to be increased, resulting in stiffness or spasticity. In both HSP and PLS, nerve degeneration occurs in the lower part of the spinal cord, resulting in weakness and spasticity in the lower body. In PLS, degeneration also occurs at higher regions in the spinal cord and brainstem, causing weakness and spasticity in the arms, slurred speech and difficulty swallowing. This can also happen to a smaller degree in HSP.